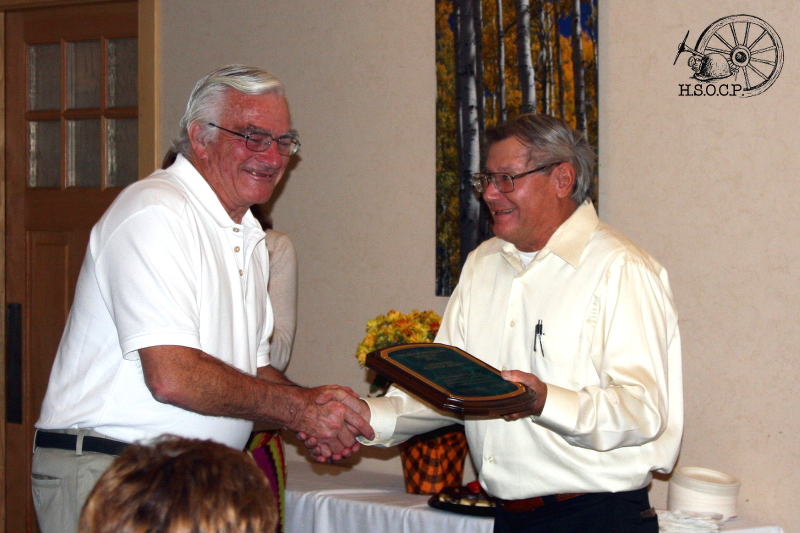 Founded in a grass-roots effort to collect, preserve and exhibit South Routt County documents, photos, research and artifacts, The Historical Society of Oak Creek & Phippsburg (HSOCP) has operated as an independent 501(c)(3) organization since 1998. 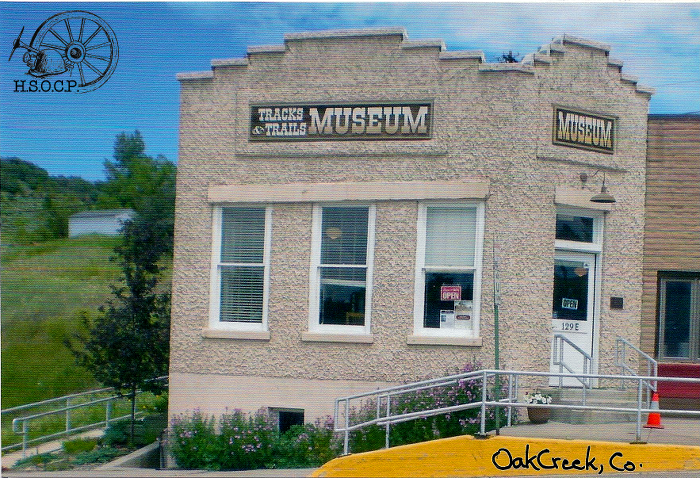 Thanks to two grants awarded by the Colorado State Historical Fund, we were then able to complete extensive structural renovation of the “old” Oak Creek Town Hall, which as of July 2007 has housed the Tracks & Trails Museum. This endeavor was recognized by the Colorado Historical Society in 2008, when the museum was presented with the Stephen H. Hart Award for excellence in historical preservation. Over the years, pamphlets, books and area tours have been developed to explore local area history history: towns, early coal mining, railroad, homesteads and schools. Educational programs for our public schools and senior citizen outreach have also been established. The Tracks & Trails Museum features permanent displays as well as rotational displays – both indoor and outdoor. Though many of our displays are in or near the Tracks & Trails Museum, there is also an exhibit in the Oak Creek Town Hall, as well an additional outdoor display in nearby Phippsburg. Currently, the organization is organizing several special projects which include: the 1937 Fire Truck Structure, “The Station” store and display area and the Foidel School. Additionally, the HSOCP remains extremely active in local events, fundraising, newsletters, weekly volunteer work days and monthly board meetings. The HSOCP is able to hire a part time curator/director but relies heavily on a strong, energetic and enthusiastic volunteer group and membership support. The HSOCP and Tracks & Trails Museum remains faithful to it mission and bylaws. Not only does the museum remain open to residents, school groups, researchers, and out of town visitors from around the world, but it also often provides research for far-away patrons who may have current or former ties to the area. Have a look around and explore the history of South Routt County!